Founded in 1980, Litex is a company that specializes in manufacturing and distributing ceiling fans and lighting fixtures. Its designs range from classic and conservative to modern and futuristic, in order to suit the needs both of home users that want to keep things traditional, and of business owners who want to impress every customer who walks in through the door. The company’s website is found at LitexFans.com, and there you can read its full history, see all the accolades it has received ever since it was started, and also learn about its latest acquisitions and business alliances. 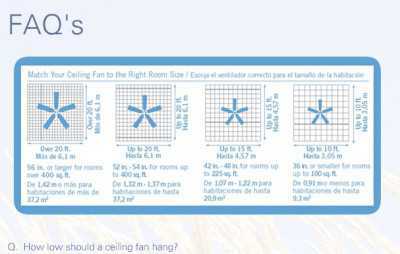 If you’re not sure which ceiling fan to buy from the ones manufactured by the company, then LitexFans.com is letting you know as much. It comes with diagrams and specifications that let you figure out which fan you should be getting for your house or business. You can learn how big each fan really easy, how tricky it would be to get it installed, and how much energy it would consume. And the site also lets you check the status of any online purchase you’ve made at Litex retailers using a simple UPS tracking tool. This lets you monitor the status of what you’ve bought by supplying its order number, and also track it by reference. And in some cases, you’ll also be able to do a quick SMS search, and know everything about your order right on your mobile phone.